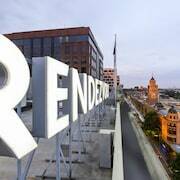 Very pleasant stay Very friendly and helpful staff, the room was spotless and very comfortable. Will definitely stay again next time when in Melbourne. If you're in the hunt for a happening place to base yourself in Preston, you have come to the right place. If you want to hang out within a 10-kilometre radius of the heart of Preston, we offer at least 315 hotels that will do the job. Those searching for accommodation close to the heart of Preston should have a sticky beak at the Mantra Bell City and BreakFree Bell City. 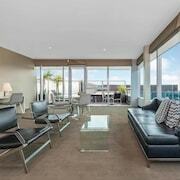 10 kilometres away from the heart of Preston is the Apartments @ Docklands. Alternatively, the Crown Towers is 10 kilometres away. 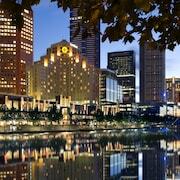 The Park Hyatt Melbourne and also the Grand Hyatt Melbourne are alternative options around Preston. 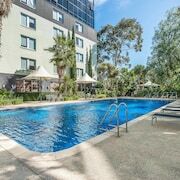 It's well known that Australians just love to have a good time, so consider extending your stay and check out the Box Hill Hospital and Box Hill Town Hall, in Box Hill, 14 kilometres to the southeast of Preston. 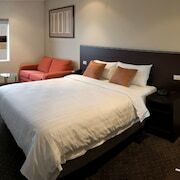 Box Hill accommodation options include the Beau Monde International and Best Western Plus The Tudor-Box Hill. 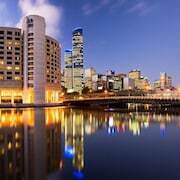 Or, you could stay in South Yarra, 11 kilometres to the south of Preston, where you can choose from the The Westin Melbourne and The Langham, Melbourne. If you stay in South Yarra, set aside some time to check out the Shrine of Remembrance and Jam Factory. Australia has some of the world's greatest sports lovers, so why not indulge with a visit to Melbourne Cricket Ground? Reach Melbourne Cricket Ground 9 kilometres to the south of Preston. 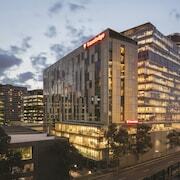 Book accommodation right near the action at the Apartments @ Docklands or the Crown Towers. 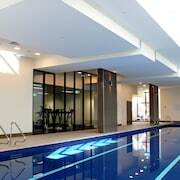 Located 16 kilometres from Preston is Tullamarine Airport. 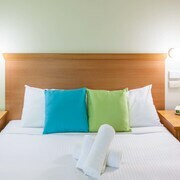 Stay nearby at the PARKROYAL Melbourne Airport or the Holiday Inn Melbourne Airport.